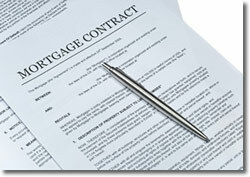 Searching for a mortgage loan? We'd be thrilled to answer your questions about our many mortgage solutions! Call us at 410-451-2755. Ready to begin? Apply Online Now. Ever heard the old rule of thumb that says you should only refinance if the new interest rate will be at least two points lower than your current rate? Perhaps that was good advice several years ago, but as refinance costs have been falling recently, it could be a good time to take a serious look. Refinancing has various advantages that can make it worth the initial expenditure several times over. You may be able to bring down your interest rate (sometimes significantly) and have smaller mortgage payments with a refinanced mortgage. You may also have the option to "cash out" some of your home equity, which you are able use to take care of higher interest debts, add on to your home, or plan a vacation.  You could have the option to refinance to a shorter-term mortgage loan, enabling you to add to your equity quicker. As you probably know, you'll have some fees and expenses during the the refinance process. When you refinance, you're paying for basically the same things you paid for when you got your original mortgage. Among these can be settlement costs, an appraisal, lender's title insurance, underwriting expenses, and others. By refinancing an existing loan, total finance charges may be higher over the life of the loan. You could need to pay discount points (prepaid interest) to get a lower rate of interest. If you pay (on average) three percent of the loan amount up front, the savings for the term of the refinanced mortgage can be substantial. We recommend that you consult a tax professional before acting on rumors that the points paid may be deducted on your federal income taxes. Another thing about taxes is that if you bring down your interest rate, of course you will also be reducing the interest amount that you may deduct from your taxes. This is another expense that borrowers take into consideration. Call us at 410-451-2755 to help you do the math. Most borrowers find that the savings each month outweigh the up-front cost of refinancing. We can help you explore your options, considering the effect a refinance could have on your taxes, how likely you might be to sell in the next couple of years, and your available cash. Call us at 410-451-2755 to get you started.